Located just 5 miles south of downtown Chicago and only 12 minutes from McCormick Place, Bridgeport Art Center is a premier Chicago event space. 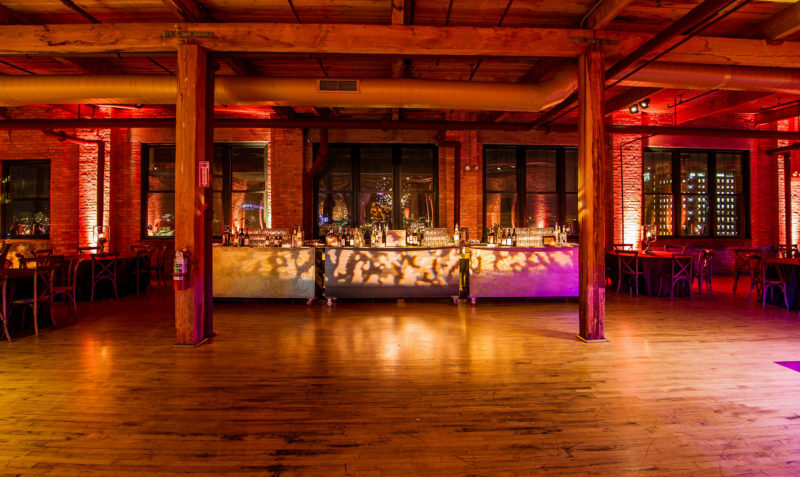 The largest loft space in Chicago, Bridgeport Art Center can accommodate any type of event, from a large-scale company reception to an intimate team dinner. The Chicago event venue is actually home to two different event spaces in one – Skyline Loft and the Sculpture Garden. Each space is completely customizable and can be transformed to match the theme, tone, and decor of your company’s event. 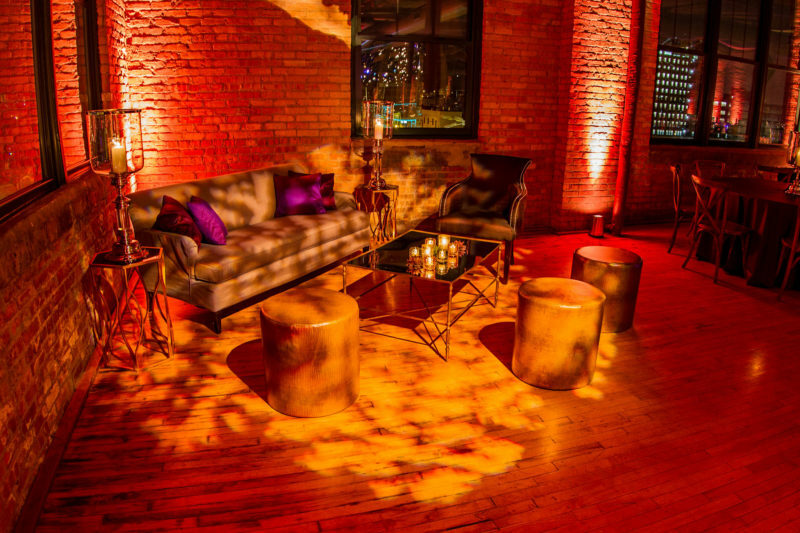 Skyline Loft at the Bridgeport Art Center was named “Best New Venue” by Illinois Meetings and Events Magazine. At On The Scene, our event managers have years of experience producing events in our beloved hometown of Chicago. That experience means we are very familiar with the various event venues in the city, and Bridgeport Art Center is no exception. We will work with you every step of the way, drawing on our knowledge of the venue to offer recommendations and help bring your event vision to life. Featuring an open floor plan with plenty of open space that can be used in a variety of ways, this event space is incredibly versatile. Located on the top floor of the Bridgeport Art Center, Skyline Loft offers stunning panoramic views of Chicago’s skyline. It also offers 18,000 square feet of event space that can accommodate up to 900 standing guests and 600 seated guests. With 12,000 square feet of indoor event space and 6,000 square feet of outdoor event space, the Sculpture Garden at Bridgeport Art Center offers something for every type of corporate event. Featuring a partially covered courtyard that features sculptures created by local artists, this space is unique and versatile. It can accommodate up to 900 standing guests and up to 550 seated guests. On the Scene is an award-winning Chicago event management company. Our team of professional event managers have years of experience working with clients in a variety of industries to create one-of-a-kind event experiences. Whether you need assistance with transportation, team dining, or entertainment, we can handle it all. Interested in hosting your Chicago corporate event at Bridgeport Art Center? Contact On The Scene today!